The Buffalo Film Seminars take place Tuesday nights at 7 p.m. promptly at the Amherst Theatre, 3500 Main Street, in the University Plaza, directly across the street from UB's Main St Campus. Each week Diane Christian and Bruce Jackson introduce the film, the film is screened, and then have an open discussion with students in a University at Buffalo film class and anyone else who cares to join us. Tickets for the seminars are adults $9.50, students $8.00, seniors $7.25. Season tickets are available any time at a 15% reduction for the cost of the remaining films. There is ample free parking, with a disabled parking zone close to the theatre. 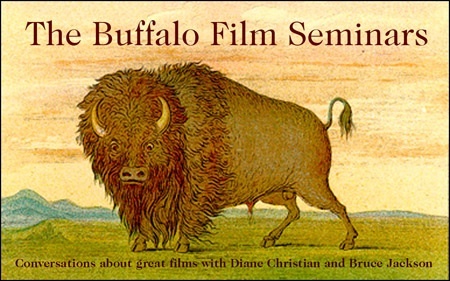 The Buffalo Film Seminars are presented by the Dipson's Amherst Theatre, The Buffalo News and The University at Buffalo.